Jammu the second largest city in the state of Jammu & Kashmir, is one of the most beautiful cities in India. The nature has always been grateful to the city. Compared to Srinagar, the summer capital of the state, temperature in Jammu is slightly warmer. It is for this fact that on every winter, the headquarter of the state administration moves to Jammu. Srinagar gets frigid in summer and there are heavy snowfall. Nonetheless, Jammu is rapidly turning into a major hub of commerce and education. The railway station of Jammu is one of the most significant railway stations in the northern India, where arrive trains from all parts of India, even from the south. Plus, there are number of hotels in Jammu with tariff best suiting the budget of many travellers that are located near the railway station. Meanwhile, named after the renowned king Jambu Lochan, the city sits on a diverse terrain that is made up of lakes, valleys, thick forest-covered lands, and more. It shares it borders with the Himalayas to the north and the vast plains of Punjab state to the south. It is one of the most ancient cities in India, where reside the ethnic communities that are primarily engaged into agriculture and some small trades. While in the city, do not forget to try the freshly grown fruits of the city. Additionally, Jammu is also famous for its strong association with religion. The lands of the city are dotted by several locally revered temples. Besides, the world-famous holy shrine of Vaishno Devi is also not too far from the city. Other than the temples, there also exist mosques. But compared to the number of temples, the mosques are quite low. Tourism makes one major aspect of Jammu. With the boom of eco tourism in India, today many backpackers are making their way to Jammu. Jammu has its shares of tourist attractions and allures. 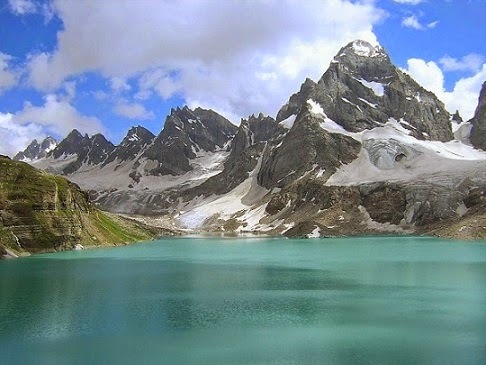 In addition to that, the city also makes a perfect spot to start a journey to other popular tourist destinations situated in the Himalayas, namely Ladakh, Leh, Srinagar, Amarnath, and Gulmarg. Meanwhile, it is best the one visits the attractions of Jammu before slipping to the tourist destinations nearby. Of the various tourist attractions of Jammu, the Bahu Fort marks as one major tourist site. It is an old fort, built about 3000 years ago. Raja Bahu Lochan commenced the construction of the fort as he was bowled by the beauty of the site. It stands on a plateau, on an apt location from where one can get magnificent views of the Tawi River and the surroundings. Inside the fort there exists a Hindu temple dedicated to goddess Kali. The founding stones of the temple was laid along with the construction of the fort, which makes the temple an old temple. The temple is seen with utter respect by the locals, and remains flocked by devotees. The Sundays and Tuesdays in particular are the days when the temple is most busy. The good thing is that the fort even after centuries of its build, still is in excellent state of preservation due to the several restoration work that were put by the Dogra rulers. The fort is a must visit when in Jammu. Good thing is that it is quite convenient to access the fort from anywhere in the city. Besides, there are certain Jammu hotels that offer transportation services to the fort. Dimpy Roy is a travel writer working with an Online Travel Guide. She helps travelers to find best Jammu hotels for hazzle free vacations.